The Worldpay payment gateway allows you accept credit card payments via a secure, hosted payment page without needing an SSL certificate on your WooCommerce store. The payment process takes place in a single tab, for a seamless user journey. Worldpay handles all major payment methods, debit cards and credit cards, including Diners, MasterCard, Visa, Amex, Maestro and JCB. After completing payment, the order is confirmed and the customer is taken to a Thank You page on your site. We recommend using the MD5 setting for additional security. The transaction information will include an encrypted value that is used to check that data sent to Worldpay has not been modified. Once you have the zip file downloaded you should deactivate and delete the existing version from your WordPress plugins page and then install the new version using the upload option. You will not lose any settings or data by updating this way. 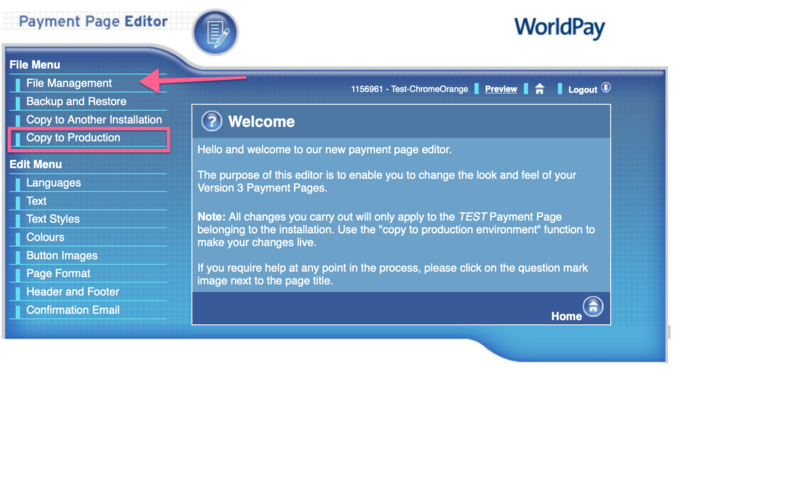 Go to: WooCommerce > Settings > Checkout > Worldpay. 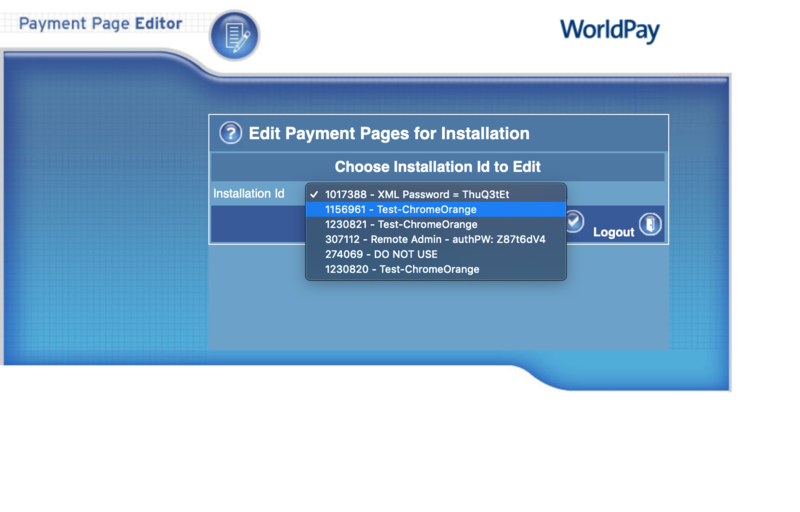 Add the Installation ID, supplied by Worldpay, to your settings in WooCommerce. You should create a Payment Response password. Using the MD5 secret is recommended. Once entered you should save the settings. 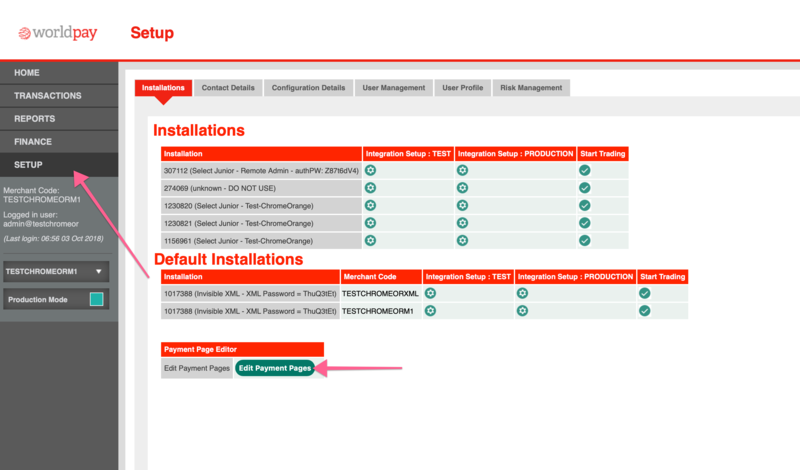 If you are using Worldpay with WooCommerce Subscriptions (Worldpay call this FuturePay) or if you want to be able to process refunds from your WooCommerce admin then you will need to enter a Remote Administration Installation ID and Remote Administration Installation Password. These are provided by Worldpay, you will need to request them, they are not issued by default when you apply for an account. Enter the settings from your WooCommerce settings page and select the boxes indicated. ‘Payment Response URL’ will be found in your WooCommerce settings for the gateway plugin. Make sure you copy this exactly as it is shown. ‘MD5 secret for transactions’ needs to be set using the same value from your WooCommerce settings – if you have left it blank in your WooCommerce settings then you can leave it blank here. ‘SignatureFields’ needs to be set using the same value from your WooCommerce settings – if you have left the MD5 secret blank in your WooCommerce settings then you can leave this blank. The WorldPay gateway for WooCommerce supports subscription payments with WooCommerce Subscriptions (separate purchase). Worldpay calls this Futurepay. Subscriptions can only be modified if there is more than 2 weeks for the next payment. Subscriptions with a regular payment schedule of less than 2 weeks between payments CANNOT be modified. They can only be cancelled. Cart cannot contain more than one subscription but can contain a subscription product and an ordinary product. Subscriptions can be cancelled from your WooCommerce admin or from the customer’s My Account page. To do this you MUST APPLY TO WORLDPAY for a Remote Administration Installation ID and enter the ID and password in to your settings. 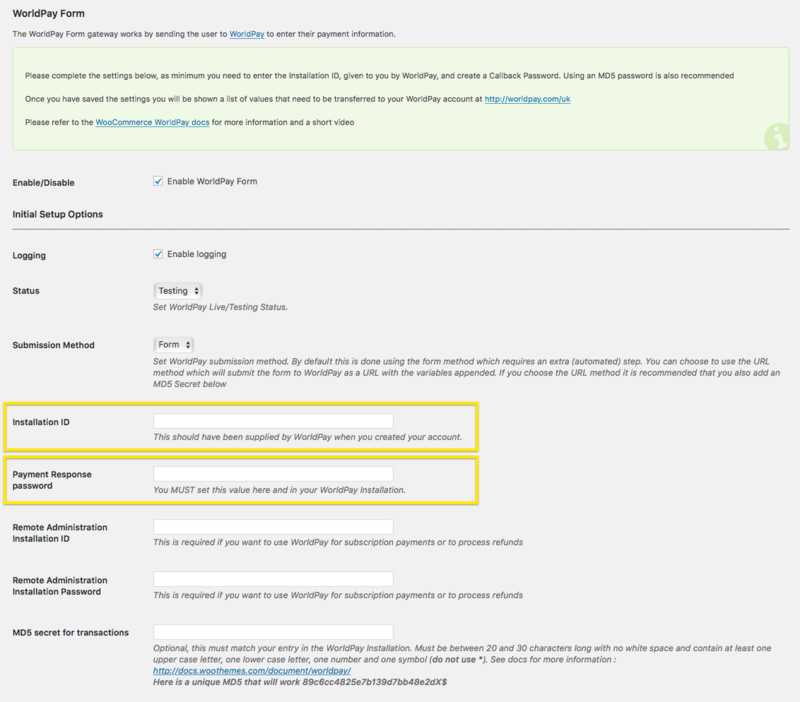 If you don’t enter a valid Remote Administration Installation ID and password, you can cancel the subscription in your WooCommerce admin but also need to cancel in your Worldpay FuturePay admin area. The advantage of the URL method is that there is one less page for your customer to visit, disadvantages are the recipient can see all the attributes and values in the URL string so you may not feel it is secure. This is an important difference when compared with the FORM method. 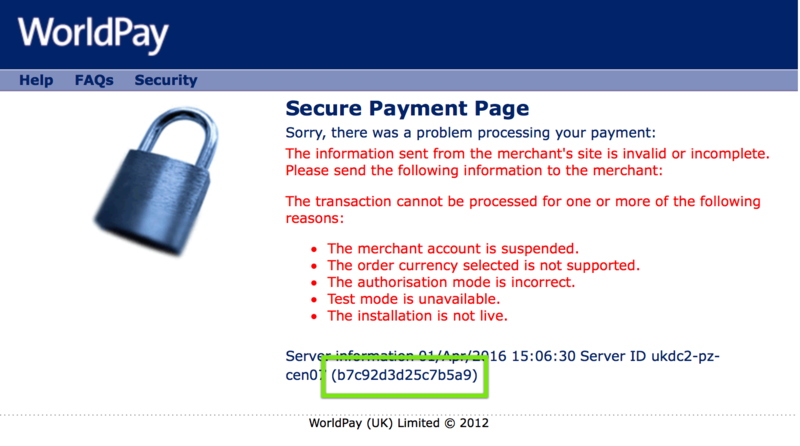 You should add an MD5 Secret to your Worldpay settings if you are using the URL method. Note: This is a Developer level section. If you are unfamiliar with code and filters and resolving potential conflicts, select a WooExpert or Developer for assistance. We are unable to provide support for customizations under our Support Policy. 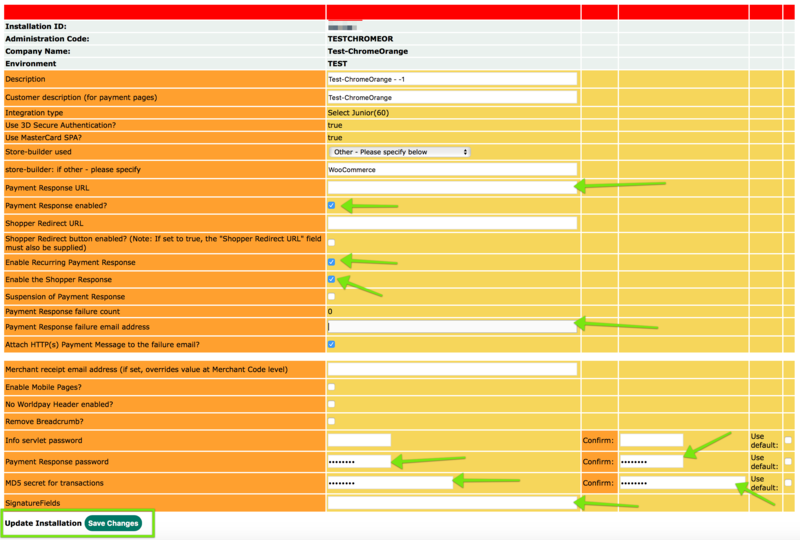 From version 3.4.1 onwards you can modify the list of arguments that is sent to Worldpay, allowing you to add your own, which can then be included in emails. 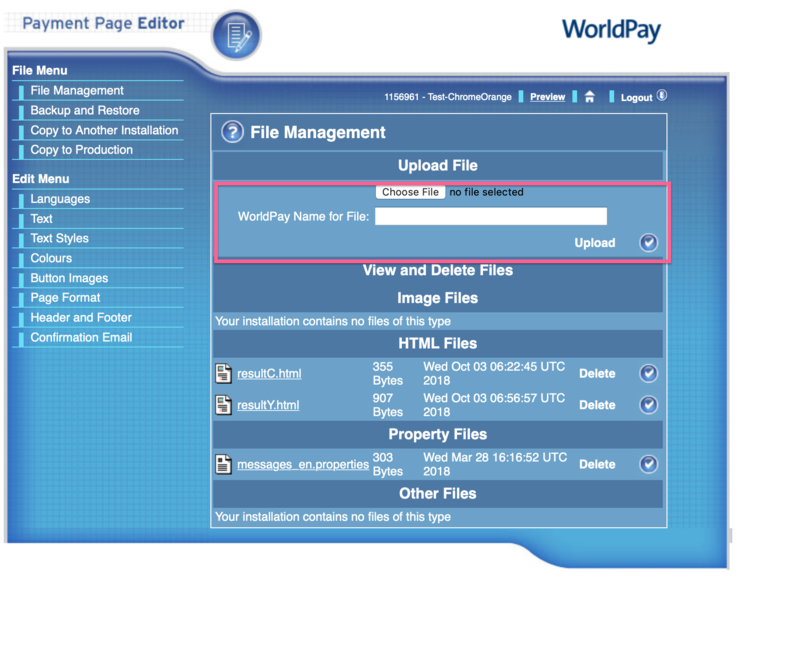 You will need to login to Worldpay and modify the email templates to use this additional information. your field name should be prefixed with “MC_” as in the example above. You should not modify the standard fields, these are required by Worldpay and changing them could prevent your customer from checking out. You can find the correct Payment Response URL in your Worldpay settings in your store. Make sure that you paste this into your Worldpay settings exactly as it is on your site. If your URL starts with HTTPS and your customers are not redirected back to the site then change the HTTPS to HTTP and test, Worldpay can have issues when returning to HTTPS URLs if the SSL certificate uses SNI, this is a known issue at Worldpay. If this does not resolve your issue then you may need to use a resultY.html file : please see the section below for instructions on how to create that. Now load your resultY.html file. Use resultY.html in the name field. THE FILE NAME IS EXTREMELY IMPORTANT. If you see any warning messages you can ignore them. DO NOT use the Dynamic Callback option unless you use the same Installation ID on multiple sites. It is a less reliable option and will not allow you to process refunds in your WooCommerce admin or use Subscriptions.